THE POWER OF PRAYER AND THE COLLECTIVE CONSCIOUSNESS! We’ve all seen the unbridled enthusiasm of a crowd at a sporting event propel an athlete into making an impossible score. That’s what it’s like when THE POWER OF PRAYER AND THE COLLECTIVE CONCIOUSNESS comes into our lives. I’ve seen it surge through all people regardless of race, color, or religious beliefs, allowing them to accomplish things that they never would’ve imagined. Now in the time of the quickening, we must rely on it more and more if we are to survive. Earlier this week, before having a stem cell procedure, I wanted to tap into the collective consciousness for help. As I was planning to contact my friends around the world and ask for their prayers…that’s when my internet went down! For 36 hours I nervously waited for it to be restored, while my doctor’s appointment drew closer. Only 3 or four people even knew that I was having the controversial, cutting edge procedure that could possibly help me walk again, because I didn’t want to worry anyone. In a matter of minutes, dozens of comments started coming in and I could feel the love and light of God and the collective consciousness enveloping me. Now as I sit here healing five days later, I can’t thank everyone enough for the prayers and good thoughts you sent me. I don’t want to appear greedy, but I could use a few more to get me through this extraordinarily painful ordeal. I promise to do the same for you whenever you need it. P.S. My friend singer/songwriter Heidi Little wrote this to me which I want to share with you. Artie, you are a dear friend and you are in my prayers daily. So when your internet and ability to communicate went down prayers went up and were already at the foot of God’s throne. We who believe should never feel abandoned or alone ever. I pray your stem cell, (thank you for being on the side of life) procedure will be successful. Lord bless my friend who honors life bless him to walk again… Play guitar again.. in Jesus name! Amen and Amen!!! Sometime we just need to be bold and proclaim as you do courageously. God bless you Artie! 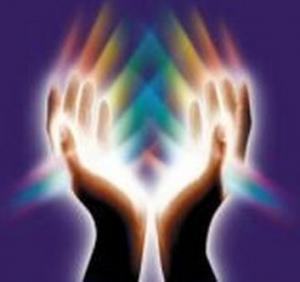 Artie – Healing energies are being sent your way. Be well! « CAN YOUTUBE SAVE THE MUSIC BUSINESS?